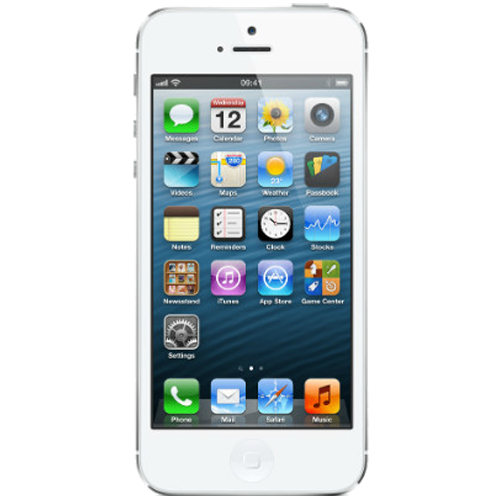 The iPhone 5 was the sixth generation of the iPhone, and looked like a slightly elongated 4S. It was released on September 21st 2012 and was the first phone to be developed under the watchful eye of Tim Cook. Major improvements over its predecessor included a taller screen, a thinner and lighter aluminium body, an A6 chip and the totally new lightning dock connector. This replaced the original 30 pin design that featured on all previous iPhone models. Over 2 million orders were taken within 24 hours of pre launch. The iPhone 5 was a really popular phone and a model we repair in great regularity. Iffy home button? Camera problems? No problem for the WeFix team. We can come to you to get your iPhone 5 repaired and looking like new again. Just book online to select a date and your choice of repair.